Since our re-launch on August 12, Fill The Steins has been making friends everywhere we go in the UMaine community. One of our favorite new acquaintances are the Black Bears of Boston (BBoB) which, as you might imagine, is a terrific group of UMaine alumni located in and around greater Boston. 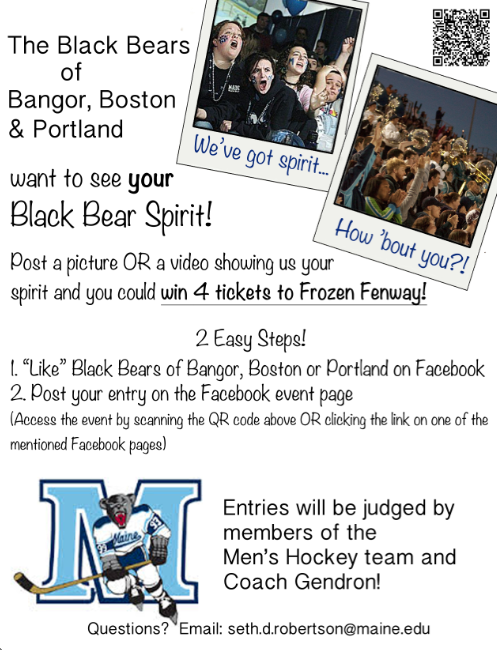 There are many reasons to love BBoB, not the least of which is because they’re giving away four free tickets to Frozen Fenway, Maine’s hockey match-up on January 11, 2014 at historic Fenway Park against the hated Terriers of Boston University. We can’t think of anything that would make us happier than for a proud member of Fill The Steins Nation to win this awesome experience. So, how do you do it? Easy…just head over to BBoB’s Events Page and submit a photo that shows off the pride and enthusiasm with which you support “the college of hearts always”. 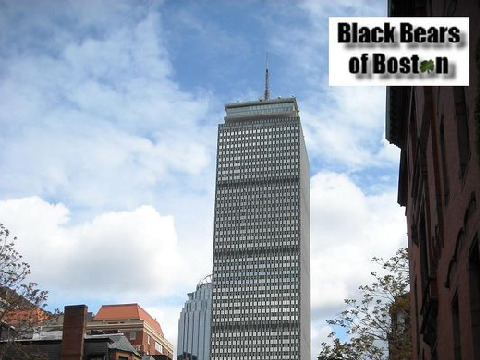 The BBoB executive committee will select the best photo and the winner will get the four freebies to Fenway…simple as that! Be sure to submit your photo right away, as the entry deadline is Friday November 15. We look forward to seeing Fill The Steins Nation being proudly represented in the contest and, hopefully, winning the whole shebang. In the meantime, we fill the steins to Black Bears of Boston for putting together such a great contest and giveaway…GO BLUE!! !